'Ain't Too Proud'. Photo by Matt Murphy. Imperial Theatre, New York, New York. A turn-table and downstage conveyer belt panel incorporate this smoothness in the show’s stage design. Actors, props and sets shift seamlessly on and off stage. 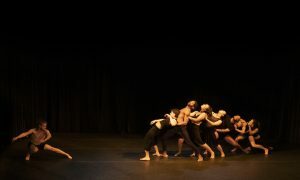 Sometimes it’s enchantingly hard to tell if the dancers themselves are moving or if the stage is moving them. ‘Ain’t Too Proud’. Photo by Joel Dockendorf. 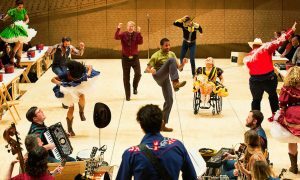 Sergio Trujillo serves as choreographer and proves he is truly the go-to guy for pop period pieces (as shown through his recent resume of shows like Memphis, Summer, Jersey Boys and On Your Feet). The Temptations were known for their sweet sounds and sick moves, and Trujillo translates the intimate in-sync movements to the big Broadway stage. I was honestly expecting many different iterations of a simple “step-touch.” What Trujillo brings to the quintet is dynamic, informed and exciting. Ephraim Sykes blows the audience away with his bravura and ease. Several times, he tosses his microphone into the air, drops down into a split, magically slides back to his feet, and catches the mic as if it were as normal to his routine as brushing his teeth. The equally captivating James Harkness doesn’t necessarily showcase the same applause-inducing skills as Sykes, but I could watch him move all day long. The three other leading men, Derrick Baskin, Jawan M. Jackson and Jeremy Pope are the epitome of triple threats and all embody the style and charm of their legendary band. Ain’t Too Proud’s book is also smooth, although not necessarily in a ground-breaking way. 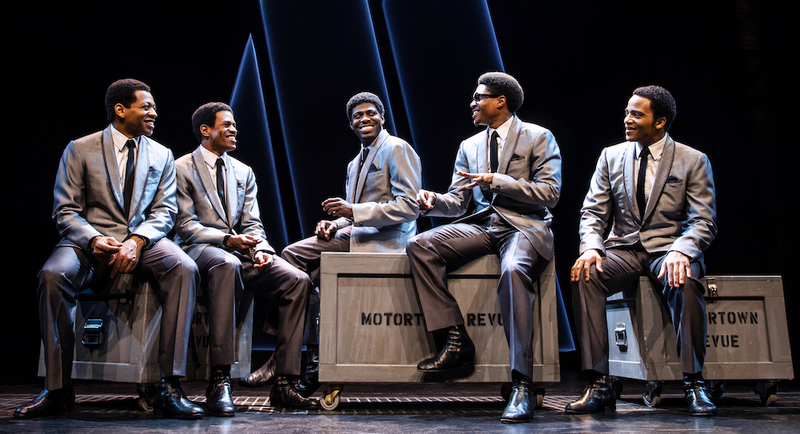 The show follows the inventive and successful formula of JERSEY BOYS (which makes sense given much of the same creative team). We’ve got the founding band member as narrator and songs spliced and interspersed within the storyline to move the plot along. 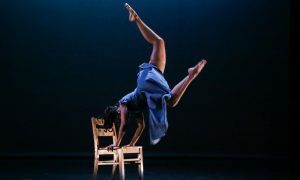 While this enhances the flow of the biographical show, it is so commercially digestible (almost always tellingrather than showing) that, as an audience member, I felt like I wasn’t given autonomy to think and process the material for myself. 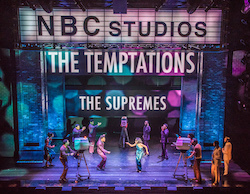 The history, successes, and many, many tribulations of The Temptations add a whole new depth and dimension for audiences who might only be familiar with their chart-topping hits. But the copy-paste formula of the book failed to exemplify the innovation and impact of the band itself.